With the City of Sarasota having set records each of the past three years for the number of building permits it has issued, the director of the city’s Neighborhood and Development Services Department has won unanimous City Commission approval to hire a new employee to help out with the volume of work. A Dec. 12 memo from Tim Litchet to the board explains, “Just a few years ago, the Building Division issued an average of 5,000 permits yearly.” Yet, in 2005, he continued, the number exceeded 8,000, and in the 2017 fiscal year — which concluded on Sept. 30, 2017 — the final number was 8,440. To further emphasize the upward trend, Litchet pointed out that in November 2016, the Building Division issued 424 permits with a construction value of $9,516,326. In November 2017, he wrote, the division issued 498 permits with a construction value of $90,084,202. The $50,555 expense for the new employee will be funded completely out of revenue the Building Division generates through all those permits it issues, Litchet noted in a separate memo to the commission. That account has a balance of more than $9 million, he added. Staff anticipates the person would begin work by the beginning of February, Litchet wrote. The request for the hiring of an additional Administrative Specialist II was on the City Commission’s Consent Agenda No. 1 of routine business items for the Jan. 2 regular meeting. However, Commissioner Hagen Brody asked that Litchet provide more information about the request, including the reason the additional employee was not proposed during the board’s work on its 2018 fiscal year budget. Litchet also pointed out that he tries to be conservative with staffing, because the workload can vary. In fact, he noted, he did not have to let any of his employees go during the Great Recession, making the City of Sarasota’s Building Division perhaps the only one in Florida “that actually didn’t lay people off” during the economic downturn. Moreover, Litchet explained, a number of big projects are on the horizon. Even large residential developments entail a lot of document handling, he added. For example, when the Ritz-Carlton was underway, he said, city staff dealt with more than 200 transactions. 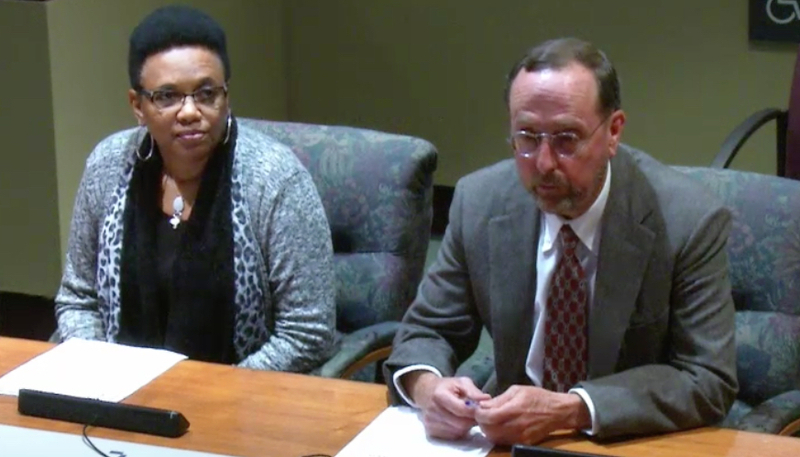 In the backup agenda material memo he provided to the board for the meeting, Litchet added that the complexity of the work and the “relatively low wage” were contributing factors for that turnover. Along with projects underway, Litchet told the board, staff will have to deal with several others that recently have been proposed. Among them are a new $18-million Hampton Inn; apartments at 2260 Ringling Blvd. valued at $22 million; The Mark condominium complex in downtown Sarasota at State Street and Lemon Avenue; and two new hotels with construction value of $6,250,000 that are planned near Sarasota-Bradenton International Airport. 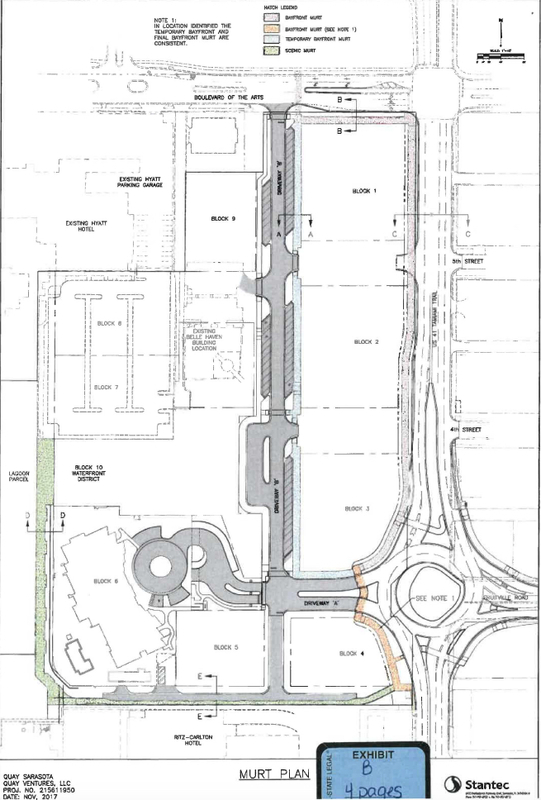 That project has been proposed on 4.49 acres encompassing the parcels located at 965 University Parkway and 995 Airport Circle, according to the application filed with the city in November 2017. 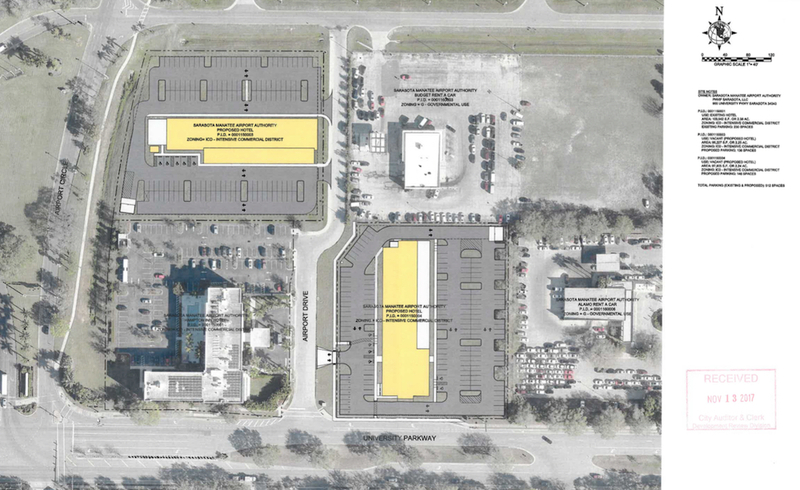 The Quay Sarasota development on U.S. 41 near the Ritz-Carlton will mean even more demands on staff, he added. Already, an application has been submitted for the first block of that development, which will include an 18-story, 73-unit condominium complex. “I think it’s entirely reasonable,” Brody replied. When the economy is performing well, he added, people plan new projects, including residential ones. 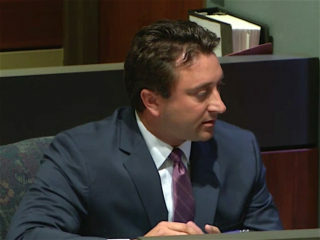 When Brody then asked whether the Building Division has separate permitting processes for commercial and residential construction, Litchtet replied that it does. Brody next asked whether the city would be able to speed up the permitting process by making more of it accessible online. Nonetheless, Litchet said, he believes the new employee still will be needed after the online permitting options become available. Mayor Shelli Freeland Eddie noted that the formal memo Litchet provided in advance of the Jan. 2 meeting indicated the hire would be cross-trained to handle a variety of responsibilities. When Brody asked whether the city has to adhere to any specific standard regarding the timeline for issuing permits, Litchet explained that state law requires initial staff comments on residential permit applications to be provided within four weeks. Staff generally gets out those responses within two-and-a-half to three weeks for big projects and in less time for smaller ones, he added. Commissioner Willie Shaw then made the motion to approve the hiring of the new employee outside the normal budget cycle, and Brody seconded it. The motion passed unanimously.